The porous borders of the world’s countries are becoming ever apparent with the number of Africans writing about their travels (and travails) abroad. In these contemporary works, African authors are making their indelible mark on literature, writing novels about experiences abroad in America and Europe. These accounts are far from fairytales. Nigerian author Chimamanda Ngozi Adichie’s Americanah does not depict a free, bold, beautiful America, but a land filled with trauma, hustle, and blight. In the story, a young Nigerian woman, Ifemelu, journeys to the United States to attend university in Philadelphia. Though designed to center upon schooling, her experience, as many Africans abroad can relate, is derailed for lack of more basic necessities—food and money. Away from home and without a penny to secure her next meal, Ifemelu searches the classifieds and applies for anything, really. All legitimate work opportunities denied, she explores an avenue that seems out of bounds for a woman of her education and upbringing. In a matter of hours, Ifemelu experiences a trauma that is not easily translatable to African ears—how can one’s hardships abroad possibly measure against those at home—so she keeps her shame to herself. The consequence is that she becomes estranged from her teenage love Obinze. With distance between them, she cannot find the words to explain anything to him over the phone. Unbeknownst to her, Obinze experiences similar troubles abroad in a different context in the UK, but with a different status: undocumented. After things settled down in America, Ifemelu noticed changes in herself: ”the new tightness of her clothes, the rubbing together of her inner thighs, the softer, rounder parts.” Maybe for well-fed Africans these are signs of wealth, but in America plumpness is generally a sign of poverty, diets of fast food and high cholesterol, stress from low wages and lower security. In Americanah, Adichie inspects American life in a way that only a keen but distant observer could. She had to go to Trenton to braid her hair. 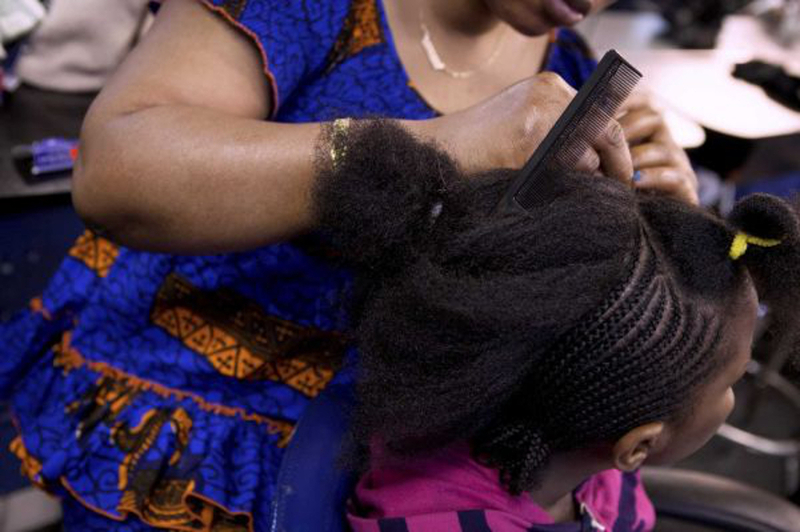 It was unreasonable to expect a braiding salon in Princeton—the few black locals she had seen were so light-skinned and lank-haired she could not imagine them wearing braids. The man standing closest to her was eating an ice cream cone; she had always found it a little irresponsible, the eating of ice cream cones by grown-up American men, especially the eating of ice cream cones by grown-up American men in public. “I know,” that peculiar American expression that professed agreement rather than knowledge. Part of her healing flows out of the cathartic powers of the web, her fingers rapping on the keyboard, blogging. She turns to words to express the feelings she had long kept hidden and to strike up a dialogue on how she became “a black” in America. Luckily for her, the blog gains a wide readership and receives sizeable and regular donations, one in particular from an anonymous admirer who sustains her comfort to live by the grace of a pen and without the burden of a 9-5. She suspects that the donor might be her new beau, a white American whose family is wealthy enough, who perhaps is determined to shield her from the rough immigrant life. But deep down Ifemelu has tired of America and its false promises. She leaves for Nigeria to start afresh, with the hopes that she hasn’t turned into an Americanah, one of those Africans who other Africans mock because of how vastly they have changed immersed in the Western lifestyle. Adichie herself splits time between Nigeria and the United States. She has received glowing reviews in both countries for this novel, her latest, which will soon grace the silver screen, with Lupita Nyong’o to star. 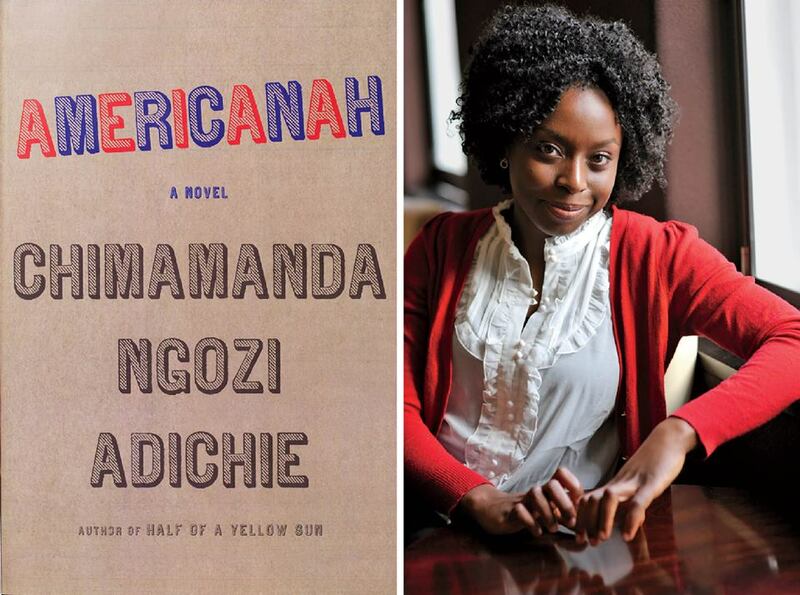 Americanah is an interesting book to read then, I must now get it! Yes, we hear these stories all the time about life abroad, about why it is no better than the one here, and yet, the same person saying these things travel back and forth. Why not just stay in Nigeria if it is so cosy then? The good book to read is the Bible. The good book to read is the Bible. If you read it every day, and you pray on it every day… the good book to read is the Bible. Then there are other like Americanah. If you want to read a book about race in America and you don’t really care about story, by all means, give this a try. But for me this bloated book was a complete slog–I read 5 others from start to finish while plodding through it. The most interesting parts of the characters’ lives, the moments when something is actually at stake, are breezed through in narrative summary, while the book focuses in on mundane conversations illustrating Adichie’s points about race. There’s no real plot, no tension or momentum, and I found it impossible to summon any interest in the characters, as I was kept at a distance from them throughout. the book and was excited to show up for discussion! You could end being caught up in this story – every character seemed like someone I knew! This novel resists the easy characterization you find in many books. But you begin to ask the question, is it a love story, a romance? Perhaps a discourse on race? Maybe a natural hair booster? A coming of age story or an immigrant tale? Well, it is all of these and Adichie weaves it all into a wonderful novel. The story centers on Ifemelu, born and raised in Nigeria and eventually making her way to America on a student visa to attend college. Don’t a whole host of people and find that America is not all she’s been conveniently told. Lively and troubling really! Most definitely a book all Africans must read. There are so many things in this book that I can relate to my personal life. It is very authentic, bold and captivating. It touches on so many social issues the bewildered new African immigrant. What it means to be black in America, assimilating into white society, even African-American society and recognizing your place in it, and at the same time maintaining your African culture. There’s even more that relates to being a black woman in America: inter-racial dating, wearing your natural hair vs processed or weaved hair, blogging, the consequences of being too assertive, etc. Like Chimamanda’s other books, Americanah is comical, very cleverly and honestly written without fear of retribution, and will have you enthralled. Great book about the African experience in America. I edge everyone to read this – straight to point and straight to soul.